You are currently browsing the category archive for the ‘Sexuality’ category. 1) Confidence is the most attractive quality. If you love yourself, people can tell and are more likely to be interested in you. If you don’t, you could fake it, but you’ll probably only fool people who also have low self-esteem. 2) Attraction is viral. If one person is into you, others will catch on and also become interested. The opposite is also true. 3) “We want the ones we can’t have.” Being distant or unavailable usually makes someone appear more desirable, whereas if they are obviously into you and available, they may appear less desirable. 4) When relationships develop, one partner is usually more distant, while the other pursues. The greater the distance, the greater the pursuit. The pursuer may feel neglected, and the distancer may feel smothered. Often this dynamic hardens into a power imbalance, where the distancer can dictate terms. The only way back to equilibrium may be for the pursuer to stop pursuing. 5) Every relationship (not just romantic) contains a power struggle. Both elements of power-over and power-with are always present to some degree. In healthy relationships, power-with is the predominant element, whereby people work together towards common goals and develop trust. When power-over becomes the predominant element, the relationship is probably unhealthy and both people are likely to get hurt. or b) seek out scenarios where they can feel powerful by abusing somebody else. 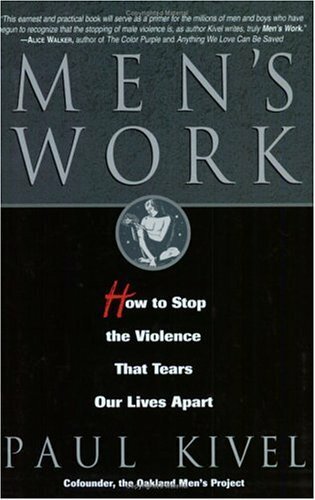 7) Men, despite being privileged by patriarchy, typically are isolated, lonely, and unable to deal with their emotions. Being emotionally nurturing is perceived as feminine, therefore it is very difficult for hetero male friends to support one another without homophobia shutting them down. This can make hetero men feel desperate to find a woman who will take care of them. If they find one, they may dump all their emotional baggage, which they don’t know how to unpack, onto her. She then becomes the only person who understands him, even better than himself, making him very dependent on her. 8) Love is really, really difficult while living under white supremacist capitalist patriarchy. But we can’t wait until the revolution to love others or be loved. Love is the quality that most makes us human. So we need to constantly struggle for love at both the personal and political levels, which are inextricably linked. Originally published by Monthly Review Zine. For five weeks in the late spring of 2006, we toured the eastern half of the United States to promote two books — Letters From Young Activists: Today’s Rebels Speak Out (Nation Books, 2005) and Outlaws of America: The Weather Underground and the Politics of Solidarity (AK Press, 2006) — and to get at least a cursory impression of sectors of the movement in this country. We viewed the twenty-eight events not only as book readings but as conscious political conversations about the state of the country, the world, and the movement. Of course, such quick visits to different parts of the country can only yield so much information. Because this was May and June, we did not speak on any school campuses and were unable to gather a strong sense of the state of campus-based activism. 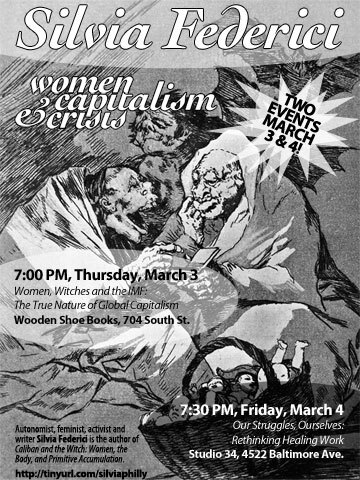 Further, much of the tour came together through personal connections we’ve developed in anarchist, queer, punk, and white anti-racist communities, and, as with any organizing, the audience generally reflected who organized the event and how they went about it rather than the full array of organizing projects transpiring in each town. Yet several crucial questions were raised routinely in big cities and small towns alike (or, alternately, were elided but lay just beneath the surface of the sometimes tense conversations we were party to). Such commonality of concerns and difficulties demonstrates the need for ongoing discussion of these issues within and between local activist communities. Thus, while we don’t pretend to have an authoritative analysis of the movement, we offer this report as part of a broader dialogue about building and strengthening modern revolutionary movements — an attempt to index some common debates and to offer challenges in the interests of pushing the struggle forward. The audiences we spoke with tended to be predominantly white and comprised of people self-identified as being on the left, many of whom are active in one or more organizations locally or nationally. We traveled through the Northeast (including a brief visit to Montreal), the rust belt, the Midwest, parts of the South, and the Mid-Atlantic. Some events tended to draw mostly 60s-generation activists, others primarily people in their 20s, and more than a few were genuinely intergenerational. Not surprisingly, events at community centers and libraries afforded more room for conversation than those at bookstores. Crowds ranged anywhere from 10 to 100 people, although the average event had about 25 people. Even where events were small gatherings of friends, they proved to be useful dialogues about pragmatic work. Our goals for the tour were: establishing a sense of different organizing projects; pushing white people in an anti-racist and anti-imperialist direction while highlighting the interrelationship of issues; and grappling with the difficult issues of organizing, leadership, and intergenerational movement building. The following ten questions emerge from our analysis of the political situation based on our travels and meetings with activists of a variety of ages and range of experiences.